"Godly play", Jerome Berryman's name for the Montessori-influenced children's catechesis he developed, is the inspiration behind both Children and the Theologians and Godly Play. When read side by side, it is clear that the latter work, published eighteen years after the former, is an attempt to build on the success of this catechetical method, which has become increasingly popular in Protestant congregations. In Godly Play, Berryman takes pains to introduce his method not just as "a way to teach" but as a perspective on existence. One may choose to see life as inescapable drudgery; but one might, instead, approach it with an attitude of playfulness. By entering into life as a "game" one discovers one's identity as a child created in the image of God. Berryman's classroom, then, is a sacred space in which children are encouraged to discover through play the deeper meaning of the traditions, stories, and people that define the Christian religion. Godly play is akin to the Catholic, Montessori-style "Catechesis of the Good Shepherd," which Berryman acknowledges as the inspiration and starting point of his efforts to design a new kind of religious education. Four of the seven chapters of Godly Play are spent detailing Berryman's method. A typical session takes place in a classroom which has been designed very intentionally to reflect the whole of the Christian tradition. In typical Montessori style, the written word takes a back seat to the sensory/motor experience of the learner, who enters into a space that "teaches" without a single word needing to be read or spoken. As children enter the classroom, they see a shelf with a small display of the Holy Family and an image of the risen Christ, resting upon a cloth with the liturgical color of the season. Surrounding shelves contain figures depicting various parables of Jesus, episodes from the Old and New Testament, and prominent scenes in the life of Christ. Class time is structured in a rhythm that echoes the Eucharistic celebration - coming in and being welcomed; hearing the word of God via an oral story-telling presentation from the teacher; responding to the lesson creatively by "wondering" through art or manipulation of the figures; a sharing of a small "feast" (snack); and finally departure. Berryman's method outshines more traditional methods of catechesis based on rote-memorization primarily because he understands the child as a person, with the same existential questions and need for meaning and relationship with God that an adult has, though not fully articulated. He sees the purpose of religious education as cultivating a sense of wonder so that the child can more authentically enter into the meaning of religious language, rather than simply parroting phrases learnt from a teacher or textbook. Beyond the specifics of how one creates a Godly Play classroom, and how it works, Berryman discusses the philosophical and psychological underpinnings of his method; most insightful being the chapter-long reflection on the phenomenon of language, religious experience, and theological knowing that comes at the close of the book. He describes our experience of God as moving in a cycle of four (often wordless) stages: from awe and wonder in the presence of mystery; to awareness and insight; to articulation of the experience; and finally to a stage of silent knowing, from which theology is ultimately born. Children and the Theologians is, in contrast, a more theoretical book, and in many ways less satisfying. It undertakes a big task: tracing the understanding of children from the time of Christ up until the present. The task is more than the length of the book can accommodate - the treatment of each theologian tends to be sketchy at best. Augustine's view of children is summarized as "Children are sinful without God's grace"; Luther's as "Children are God's little jesters, a mix of law and Gospel." Berryman might have done better simply to revise Godly Play, appending the meatier chapters of Children and the Theologians to a new edition of the already-popular text. The Christian approach to children is summed up under four headings: ambivalence, ambiguity, indifference, and grace. He claims that the Gospels themselves are ambivalent towards children, presenting alternately "high," "low," and "indifferent" views of children. Although in each synoptic gospel Jesus welcomes children into his presence and exhorts his listeners to become like children, there are also sayings that encourage a single-minded following of Christ, leaving behind even home and family for his sake. The high valuation placed by Christianity on celibacy and the cloistered life Berryman interprets as entailing a rejection of family life for the sake of a life lived in pursuit of holiness, and a correspondingly "low" view of children - certainly a debatable opinion. Because neither "high" nor "low" sayings of this sort are present in the Gospel of John, Berryman considers the entire Gospel to be indifferent towards children, a surprising conclusion in light of the many references Christ himself makes to his own Sonship. For John, surely, Christ is the paradigmatic "child," and although the Gospel lacks the vignettes with children that the others contain, it seems difficult to accept that the entire Gospel is indifferent towards childhood in quite the way Berryman claims. Understanding that children can be a means of grace is Berryman's primary contribution to what he calls his "proposal" for a "doctrine of children." In particular, Berryman wants us to become more aware of the presence of children in the celebration of the sacraments, and make use of their potential contribution. However, his suggestions on this score are again rather sketchy. From a Catholic point of view, it is disturbing that Berryman seems to attribute the lack of respect traditionally shown to children to the doctrine of original sin, thus calling the doctrine itself into question. Furthermore, he is of the opinion that a favorable understanding of children and family life entered the theological scene only when Protestant clergy married and dwelled with children. Celibacy, he thinks, was a way to avoid the messy, distracting complications of children. Historically, of course, this may be the case in many instances, but a wholesale disregard for the insights that priests and religious can provide to families and children clearly does not take into account the theology of marriage and family articulated during the pontificates of John Paul II and Benedict XVI. Another disconcerting current that runs through both books is a somewhat antagonistic approach towards parents. In the context of a narration of a typical "Godly play" classroom session, parents are mentioned only twice, and both times portrayed negatively. In one instance, when a child arrives late with his father, the assistant teacher "firmly implie[s] that he need not come into the classroom, as he seemed about to do. The community of children, and the place itself as the children's room, need to be protected" (p. 30). In the other instance, Berryman describes parents who have come to pick up their children as "in a hurry," "anxious," and "loud" (p. 40). The theme is further continued in the first paragraphs of Children and the Theologians when he relays a conversation he had with an eight-year-old. 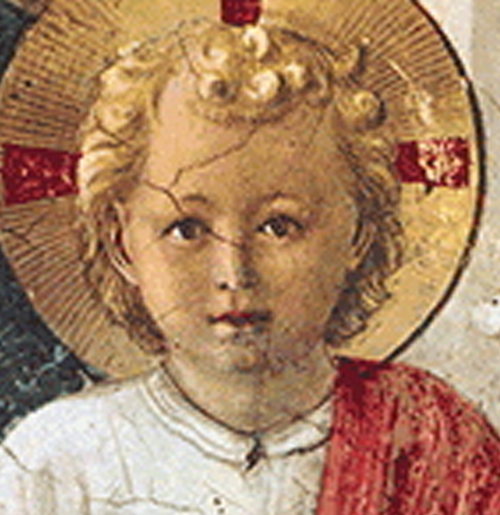 When the boy expresses his confusion regarding a particular point of the Sunday liturgy at his church, his response is to kneel down "in the midst of the swirling adults," take the boy's hands in his, and issue a sympathetic and somewhat conspiratorial comment: "sometimes grown-ups don't understand" (p. 4). Berryman does relate one positive anecdote about an experience with his own grandmother; however there is no significant mention of any positive experience in connection with a mother or father, leading one to suspect a lack of proper regard for the family as the central force in the religious and intellectual formation of children.